It was a sign of increasingly brittle relations that saw Taiwan’s churlish rejection of two pandas from [mainland] China last week. Taiwan’s President, Chen Shui-bian, wants to keep independence from the mainland from which Taiwan split in 1949 amid civil war and was unimpressed by the names of the bears – Tuantuan and Yuanyuan, from the word ‘tuanyuan’ which means ‘reunion’. In a statement Chen said the pandas would not be happy living in Taiwan and called on Beijing to step up conservation efforts for pandas in China. Last week, the government announced stricter supervision of trade and tourism links with China. Comment: Once in a blue moon, a mainstream journalist will surprise you. He, or in this case she, will almost renew one’s lost faith in the major media. The “right Stinker” I will not elaborate on. Suffice to say he was a former Mossad chief who got his unflattering nickname when he fell into a sewage pit, but has recently been elected to Israel’s Knesset. It was Tracey McVeigh’s mention of “Taiwan’s churlish rejection of two pandas from China” that got my attention. I must say Ms. McVeigh really nailed it. There have been countless variations of the “boy and his dog” theme, using every animal from man’s best friend to a whale. 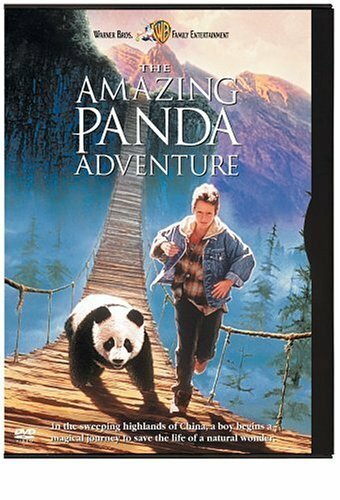 The Amazing Panda Adventure transplants the Lassie story to China and replaces the collie with a panda cub. In reality, the only amazing thing about this motion picture is Jack N. Green’s impressive camerawork, which constantly allows the scenery to upstage both two and four-legged performers. The Amazing Panda Adventure that has unfolded on Taiwan in the past months truly has been amazing — amazingly daft. PANDA PANDERING: [Chen Shui-bian] wrote in his weekly e-newsletter that the pair of pandas [mainland] China wants to give to Taiwan would be better off if they were left alone. Chen Shui-bian yesterday called on [mainland] Chinese leaders to leave the two giant pandas it intends to give Taiwan as gifts in their natural habitat, saying they would be happier there. Leaving that annoyance aside, the real problem is that Chen misrepresented Pan Wen-shih’s meaning. The reality is that although Pan opposes capturing wild pandas and caging them in zoos, he also favors donating pandas produced through artificial insemination to zoos around the world because the program helps raise funds for the conservation of those pandas still living in the wild. So environmentally conscious! So Ecologically Correct! So “green!” One would think that Chen Shui-bian had suddenly turned into Al Gore or Jerry Brown. Chen’s Ecological Correctness was merely convenient political cover for what really mattered to him, keeping Taiwan Chinese segregated and alienated from their mainland Chinese compatriots in order to promote the Taiwan independence nomenklatura’s ersatz “Taiwanese, not Chinese” racial identity and national consciousness. Pandas? We Don’t Need No Stinking Pandas! Anyone who doubts Chen’s priorities need only read a Saturday March 15, 2006 Central News Agency report entitled “China must respect Taiwan as `state’ to send pandas: COA.” The report confirms that A-Bian’s real concern was the preservation of an endangered ideology, and not the preservation of an endangered species. CNA: Whether Taiwan should accept a pair of giant pandas that [mainland] China has offered as so-called “gifts” hinges on whether [mainland] China will respect Taiwan as a sovereign state, the vice chairman of the Council of Agriculture (COA) said yesterday. Lee Chien-chuan said that Taiwan would accept the pandas only if [mainland] China considers Taiwan as a state in the panda export process … Lee made the remarks during a meeting at the legislative caucus of the Taiwan Solidarity Union (TSU). Beijing offered Taiwan the pandas last May when then Chinese Nationalist Party (KMT) chairman Lien Chan made a trip to [mainland] China. 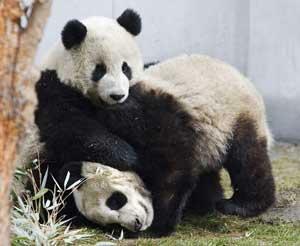 Late last year, [mainland] Chinese authorities said that two pandas would be sent to Taiwan as gifts in June this year. Mainland Affairs Council Chairman Joseph Wu responded to the [mainland] Chinese announcement by pointing out that [mainland] China cannot send its giant pandas across the Taiwan Strait without the consent of Taiwan’s [sic] government. Comment: Did you get that? After all of A-Bian’s unctuous concern for the survival of an endangered species, the Taiwan independence nomenklatura’s bottom line is, “We don’t really give a damn about the pandas. Just give us what we want, our own little “Taiwanese, not Chinese” state. Former Rep. Randy “Duke” Cunningham, who collected $2.4 million in homes, yachts, antique furnishings and other bribes on a scale unparalleled in the history of Congress, was sentenced Friday to eight years and four months in prison, the longest term meted out to a congressman in decades. Cunningham, who resigned from Congress in disgrace last year, was spared the 10-year maximum by U.S. District Judge Larry Burns but was immediately taken into custody. Comment: Americans are disgusted with former Republican congressman Randy Cunningham for accumulating $2.4 million in bribe money, and rightly so. After all, Randy “Duke” Cunningham was the first Navy ace of the Vietnam War, and if Cunningham is to be believed, the inspiration for “Maverick,” the character portrayed by Tom Cruise in Tony Scott’s 1986 blockbuster, “Top Gun.” Cunningham got elected based on his image as a true American hero. The American public’s sense of betrayal is therefore, correspondingly acute. Nevertheless, Americans are relatively innocent. Americans haven’t the first inkling of what real corruption is. On March 19, 2000, former ROC First Lady Tseng Wen-hui (Mrs. Lee Teng-hui) fled to New York with 54 suitcases containing US$85 million [ ! ] in embezzled funds, where she was intercepted by US Customs officials. ROC legislatorrs Fung Hu-hsiang, Hsieh Chi-tah and Dai Chi, of the small but influential New Party demanded a thorough investigation of the scandal, which was witnessed by EVA Air baggage handlers, US Customs agents, high-ranking US State Department officials, Bank of America executives, and Brink’s security guards. But a deal was apparently struck between the US State Department and former ROC President Lee Teng-hui: In exchange for his resignation as KMT Party Chairman, Lee and his wife would get to keep their ill-gotten gains, and the embarrassment to both governments would be covered up. Not content, a vindictive Tseng filed slander suits. A Taipei District Court dismissed them for lack of evidence. Tseng filed appeals. A more sympathetic High Court presided over by a judge connected to the former president convicted Fung, Hsieh and Dai. Fung was sentenced to 4 months prison and fined NT$10,000,000 in damages. Bear in mind, Tseng Wen-hui’s US$85 million in 54 suitcases was merely the tip of the iceberg, merely the Lee family’s liquid assets. Lee Teng-hui successor Chen Shui-bian meanwhile, has outdone even his mentor. Chen has assumed personal control of the ROC’s two largest government banks. To make a long story short, the ROC national treasury has for all intents and purposes become Chen Shui-bian’s personal bank account. The celebrated native Taiwanese liberal reformer and television commentator, Joyce C. Huang, author of the best-selling books “Taiwan at the Crossroads: An Expose of Taiwan’s New Dictatorship” and “Emptying the Coffers,” estimates that Chen and his wife alone have embezzled anywhere between US$100 million to US$300 million from the “Taiwanese people” they “love” so much. As Ms. Huang cautions, these are educated guesses. We will probably never know exactly how much these “defenders of Taiwan’s democracy” have stolen from the people. Readers of this column know that I have compared Taiwanese kleptocrats Lee Teng-hui and Chen Shui-bian to their Indonesian and Philippine counterparts Mohammed Suharto and Ferdinand Marcos. I may have to stop doing that. Based on the full extent of Taiwan independence Quisling corruption, such comparisons may be unfair. Unfair to Suharto and Marcos. Taiwan independence fellow travelers, whose hearts bleed over “the plight of the Taiwanese people,” either don’t know what Taiwan’s Quisling nomenklatura have been doing, or they don’t care. If they knew or cared, they wouldn’t continue abetting these contemptible parasites who are eating the 23 million people on Taiwan alive. 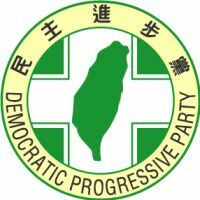 For the past six years, Pan Green voters on Taiwan have watched in stunned incredulity as A-Bian, their “Man of the People” and the “Son of Taiwan,” a former dependant of a “Category Three Impoverished Household,” in cahoots with the “idealistic” and “reformist” DPP, loot the public coffers three ways from Sunday, and live in a manner so ostentatious as to make previous Asian strongmen look like Mahatma Gandhi. Fate tested Chen Shui-bian’s character by forcing him to grow up under adversity. Chen, like nearly all men, could stand adversity. Fate tested Chen Shui-bian’s character again by giving him enormous power, at least within the confines of the “Free Region of China.” Chen, like his fellow Quisling opportunists, failed the test of power. A 55-year-old grandmother killed her two grandsons early yesterday morning before slitting one of her own wrists in an attempt to commit suicide. Wu Shu-hui, who previously suffered a minor stroke, had been taking care of her two grandsons, 7 and 8, since the divorce of her son, who has gone to Keelung to seek employment. Neighbors said the elder grandson was mentally retarded, and that it was probably stress from living conditions and heavy financial pressures that caused the woman to decide to end the lives of the two children and her own. Wu burned charcoal in her bedroom early yesterday morning after her two grandsons went to bed. The younger boy died from carbon monoxide inhalation, but the elder grandson woke up and shook his grandmother, attempting to wake her. Realizing the elder grandson was still alive, she used a knife to stab the boy to death before slitting one of her own wrists. 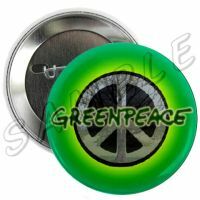 Comment: The above news article tells an all too common, all too tragic story of Pan Green misruled Taiwan. Such stories are so common they almost no longer qualify as news. This particular story only made the headlines because the suicide didn’t go according to plan, but instead went even more horrifically wrong than usual. Taiwan independence Quislings accuse anyone who refers to himself as “Chinese” and who wants reunfication with “West China,” of the mortal sin of of “bu ai tai wan” (not loving Taiwan). Let no one accuse Taiwan independence Quislings of “bu ai tai wan.” The Pan Green DPP government, with infinite compassion, has responded to this epidemic of suicides by ordering manufacturers of charcoal to paste warning labels on sacks of charcoal, urging consumers not to use the product to commit suicide. SURGEON GENERAL’S WARNING: Charcoal Smoke Contains Carbon Monoxide; Inhalation May Be Hazardous to Your Health. It included the phone numbers of suicide-prevention hotlines. The importer of the Indonesian charcoal printed the message in response to concerns raised by the Department of Health about a recent wave of suicides by charcoal-burning. In the past month, hardly a day has gone by without someone committing suicide by burning charcoal and inhaling the carbon dioxide. Many of the deceased were so-called “card abusers” — people who have fallen hopelessly into debt on their credit cards. Taiwan has one of the highest suicide rates in Asia with an incident recorded every two-and-a-half hours. This number, as shocking as it may be, was last year’s. This year it has more than doubled, to one suicide every hour. Tomorrow the Council of Agriculture is expected to announce its formal rejection of two zoo operators’ applications for the importation of pandas from [mainland] China … One can hardly blame [the] government … If the pandas had entered Taiwan, the KMT would have had something to claim credit for … one should never look at such government decisions in isolation … they should be examined in the context of the entire cross-strait relationship. Only then can one recognize that the gesture was never anything more than an act of propaganda … Beijing was trying to create the impression that [mainland] China means no harm to Taiwan … what could the government do? It could have accepted the pandas (ignoring the prison lifestyles that they would have had to endure), but this would have rewarded [mainland] China for its cynicism and diverted public attention from the growing danger that Taiwan faces. Those [who wanted to see the pandas] can consider saving up to visit [mainland] China’s interior where pandas belong, or, better still, patronize the Taipei Zoo’s native [sic!] fauna exhibit, which includes an interesting range of creatures, including the magnificent — and no less cute … Formosan black bear. The pandas are now a non-issue. Comment: Be not deceived! Tuantuan and Yuanyuan, these seemingly innocuous members of the family Ursidae, genus Ailuropoda, species melanoleuca, are the animal kingdom counterparts of Karl Liebknecht and Rosa Luxemburg. Had A-Bian been so naive as to allow these “agents of influence” onto the hallowed soil of Ilha Formosa, who knows what dangerous and hypnotic spell they might have cast over the flower of our Taiwanese youth? Truth, Justice, and the Taiwanese Way must be protected from the ever present threat of Chinese Communism. Besides, who needs foreign Chinese bears when we have perfectly good native Taiwanese bears of our own? Dear Ms. Mcveigh, thank you for restoring a little perspective on Taiwan’s Amazing Panda Adventure. For a while I thought I was the one going crazy. As political observers in both the Pan Green and Pan Blue political camps know perfectly well, the Taiwan independence nomenklatura feels daftly and churlishly compelled to perpetuate the Cold War estrangement of “East China” from “West China,” come hell or high water. Failure to maintain Taiwanese Apartheid would mean rapid economic and social reintegration and eventual political reunification with the Chinese mainland. That is why Taiwan independence True Believers are willing to sacrifice the lives of 23 million Chinese on Taiwan without even batting an eyelash, without shedding a tear.